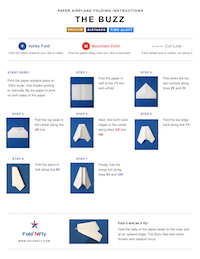 Fold 'N Fly has beautiful, easy to use folding instructions that you can download and print as many times as you want. 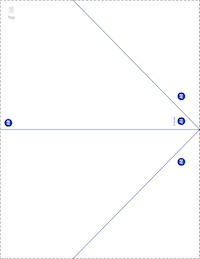 Simply follow the printed instructions and fold along the indicated lines and you will have a perfectly folded paper airplane, every time. 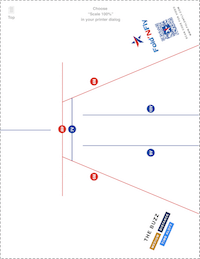 Please enter your secret code to download and print these paper airplane folding instructions. Don't have a code? You can get a code here.